YouTube is taking action against a bizarre and potentially fatal social media craze, where teens are seen eating laundry detergent pods, in an attempt to stop it from spreading further. The social media video platform, which is owned by Google, said it will take down clips of the “Tide pod challenge” where a person is filmed biting or consuming the detergent pods before spitting it out. An alarming number of videos have been uploaded to YouTube this month, prompting widespread health and safety warnings, reported MailOnline. 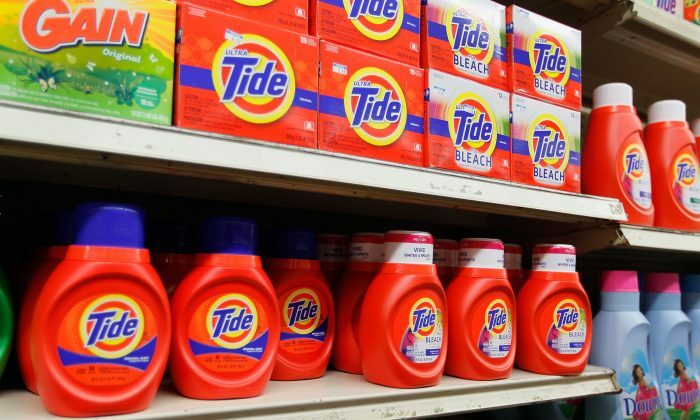 The trend which started as a social media joke where memes feature photos showing laundry pods as pizza toppings or breakfast cereal spread like wildfire among teenagers, reported ABC15. Medical experts warned against the trend as the consequences of consuming the detergent packets are dire. Banner Health toxicologist Dr. Frank LoVecchio told ABC15 that the intentional consumption of the packets is concerning. He added that the chemical in the pods can burn your mouth, lips, and esophagus if ingested. But there is also another concern. “The membrane around it, when it dissolves, can cause central nervous system depression,” LoVecchio told the news station. When it dissolves it can cause you to become sleepy or fatigued. The U.S. Consumer Product Safety Commission (CPSC) and the Australian Competition and Consumer Commission (ACCC) issued a joint statement in 2013 urging parents to ensure that their family is not exposed to the hazards posed by liquid laundry packets or capsules. “Young children who are exposed to the highly concentrated, toxic detergent are at risk of serious injury,” the statement reads. “Children who have ingested detergent from the packets have required medical attention and hospitalization for loss of consciousness, excessive vomiting, drowsiness, throat swelling, and difficulty breathing. Eye contact has also resulted in reports of injury, including severe irritation and temporary loss of vision,” the statement said. In early 2017, College Humor, a comedic content company, posted a video about eating laundry pods, reported News4jax. At the end of the video, it shows a guy being sent to the hospital after eating a bowl of laundry pods.